Can you believe it's the first Friday of another new month - eek! 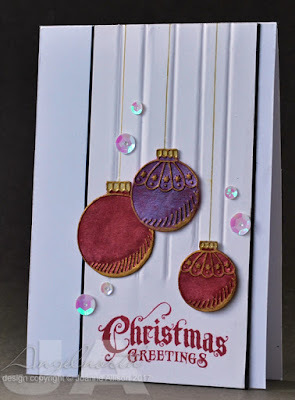 That means it's an "elemental" challenge at Daring Cardmakers and it's the first of our Christmas run-up (although Christmas is not compulsory - take a look at the DT samples to see other ways to run with the picture!). I'm finally making a start on some Christmas cards so despite the temptation to do something other than the obvious festive take on this, I did go Christmassy in the end. 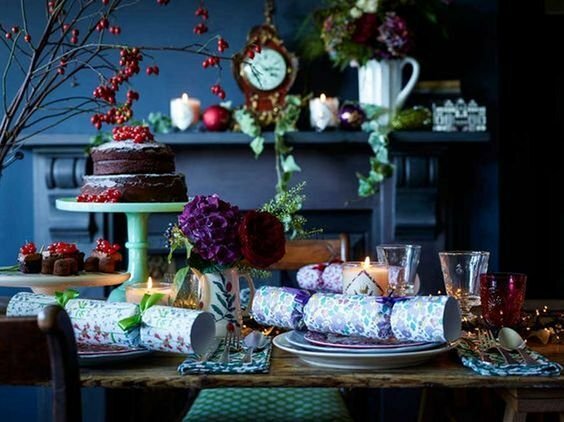 From the picture (at the end of thispost if you haven't already seen it on the DCM blog) I chose the purple and cranberry elements of the colour scheme and some gold accents, the baubles and ribbed texture of the white jug on the mantlepiece. 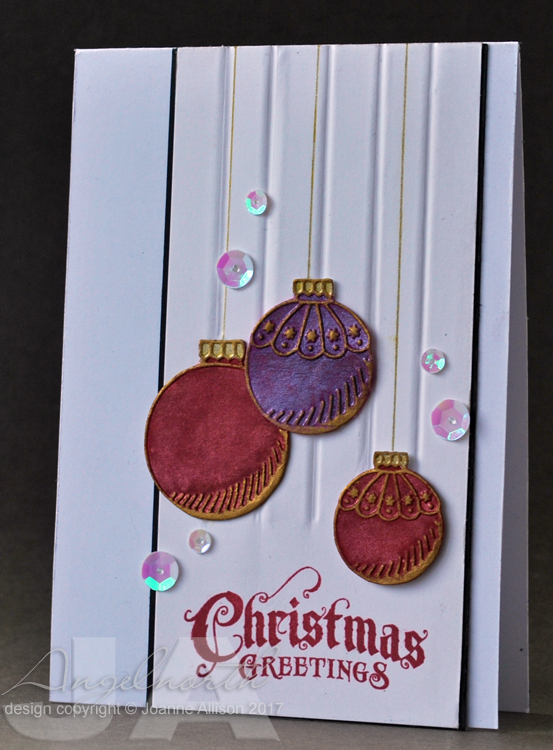 I cut individual baubles out from an emossed piece, coloured them with Copics, added a wash of Perfect Pearls in coordinating colours and used gold gilding wax to highlight the embossed texture. I really should learn that making a card that doesn't involve stamping always takes five times as long and I'm less likely to be happy with the result! Very elegant! I especially love the creased lines and also the white sequins.